[Note 8] Edge panel handle disappear and so cannot activate Edge screen menus. 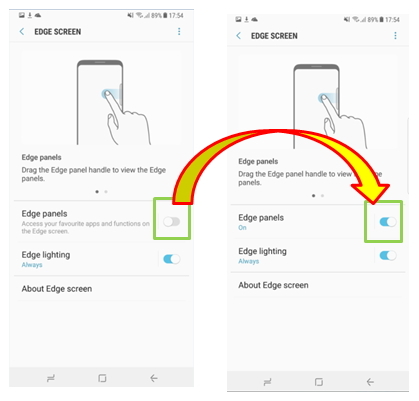 Q : While using the Note8 device, Edge panel handle disappear and so cannot activate Edge screen menus. A : You can quickly access your preferred apps, features, and contacts from various Edge panels. 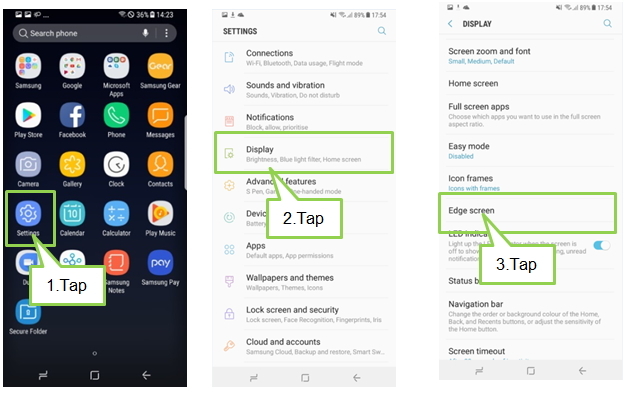 If the Edge panel handle is not visible while using device, launch the Settings app, tap Display → Edge screen, and then tap the Edge panels switch to activate it. Samsung encourages users to keep your software and apps updated to latest version. Please check for updates to your device SW regularly via the Smart Switch PC or FOTA.